Attention all non-profits in the Memphis and Shelby County area! Are you interested in having a positive impact on your community and need an “Uplift” to get you started? The NAACP Memphis Branch, the New Tri-State Defender Newspaper and Kroger Delta Division present a new grant program called UPLIFT THE COMMUNITY. This partnership will be an exciting opportunity for a cross-section of businesses and community organizations to come together in a positive effort toward equitable change in Memphis and Shelby County. 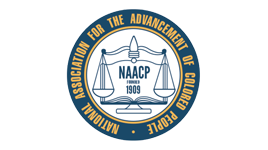 The grant recipients will have to report back to the NAACP six months after the grant is rewarded to provide an update on progress made with the project. Our grant application process begins Friday, January 18, 2019.